In the modern way of thinking the bathroom repairing means not just the decorative part, but also the pipes changing, new sanitary engineering establishing and the smart area planning being based on the aim to smartly use every centimeter of the free space. 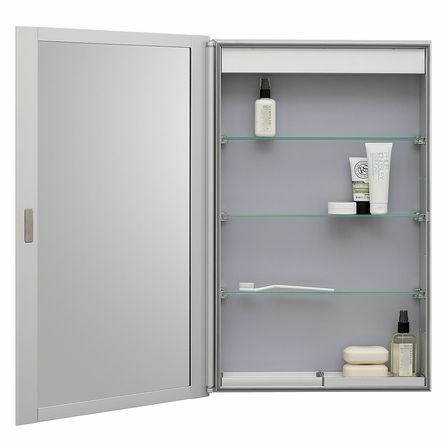 One of the rational space using variants is establishing of the slim or embed bathroom cabinets. 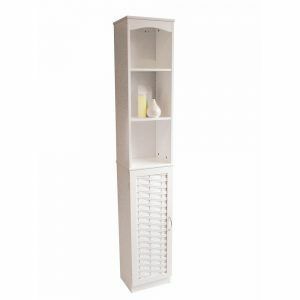 Most of the times any variants of such bathroom cabinets are custom with using the ready pieces. 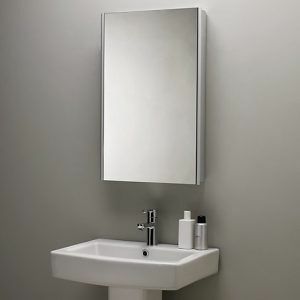 So in this article we gonna find out what types of the slim bathroom cabinets actually exist and what it can be used for. 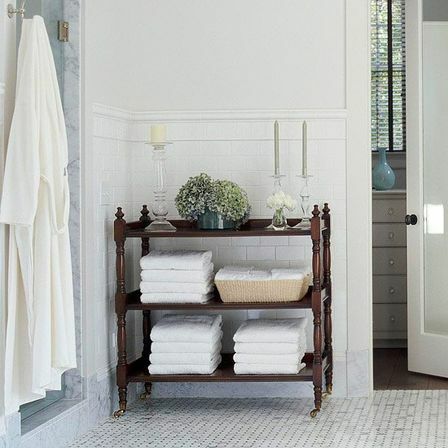 All the bathroom cabinets can be separated by its placement. 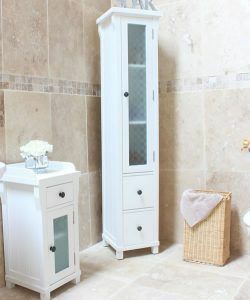 The standard bathroom cabinets. It can be established in the special niches or along the wall. Most of the times it has the perfect geometrical form such as rectangular or square. Angular. Most of the times it’s used in the small bathrooms for the rational using of the angle’s space which is most of the times is a “dead” zone of most of the bathrooms. Radius. 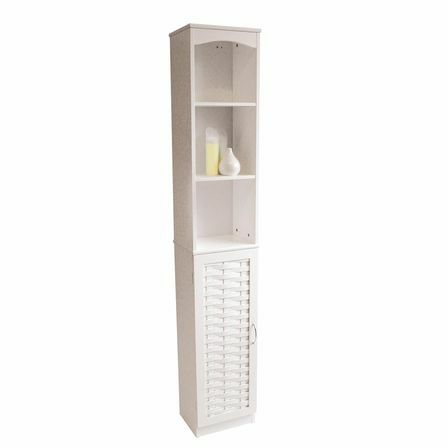 Those bathroom cabinets are usually equipped by the special rolling doors that moves on the special guide rails and have a semicircular radius. It’s important to remember that all of the set elements should be made from a high-strength plastic, stainless steel or a colored steel because the production is placed in the zone with the high level of moisture. Having just a simple slim bathroom cabinet isn’t really convenient as basically you can’t put much on the tiny shelves, only if it’s not a medical bathroom cabinet where it’s gonna be enough space to place you pills and tubes. 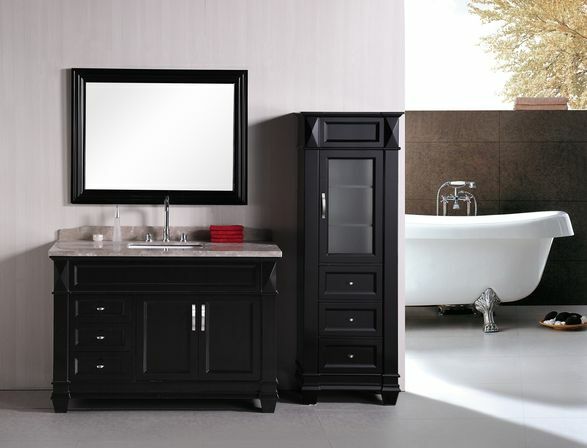 But what if we talk not just about the slim bathroom cabinets, but about the slim embed cabinets? 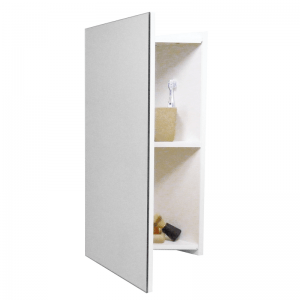 Most of the times it’s really rare to find the ready embed slim bathroom cabinet as most of the times it’s getting built specially for a needed planning and has the personal sizes. The custom producing gives the opportunity to plan the placement and to clearly think about it’s inside structure. 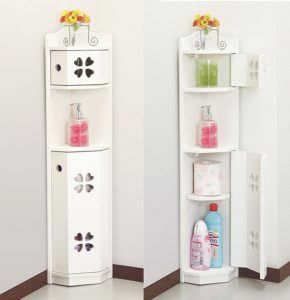 Most of the times those bathroom cabinets have the big lower space to have the opportunity to put there the basket with the dirty clothe or the sanitary engineering product. In the middle part there are the pullout cabinets and on there are the small shelves on the top for the small things keeping. The most popular variant is the bathroom cabinets made from the floor to the ceiling. This kind of placement allows to skip the arduous places cleaning and doesn’t keep the space for dust and moisture collecting. 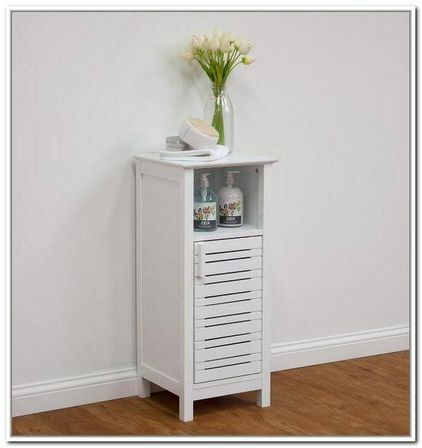 Most of the times this kind of furniture is used to the places that don’t have the traditional form or have the constructional niche or the other features that doesn’t let to place the normal furniture. 2) Wooden or plastic panels. All the facade decoration materials you can buy in the specialized shops, in the factories or even make it by yourself. 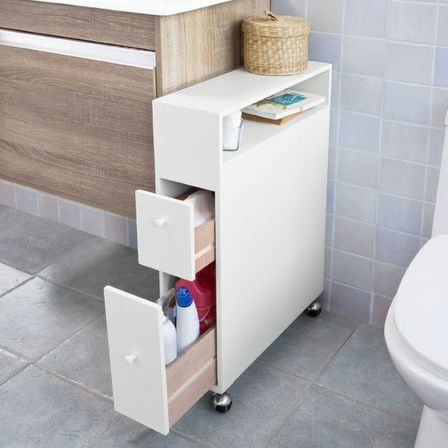 The only and really important limiting that these bathroom cabinets have is that you can’t move this kind of cabinets from one place to another. And the bathroom cabinets after installation becomes not just a part of the interior, but also a part of the place. So if you are the person who generally likes to move the furniture from one place to another then this kind of bathroom cabinets isn’t really for you. During the planning of the inside space it’s good to think about the possibility replanning for the future. It can be made by establishing the detachable shelves with the regulated height. 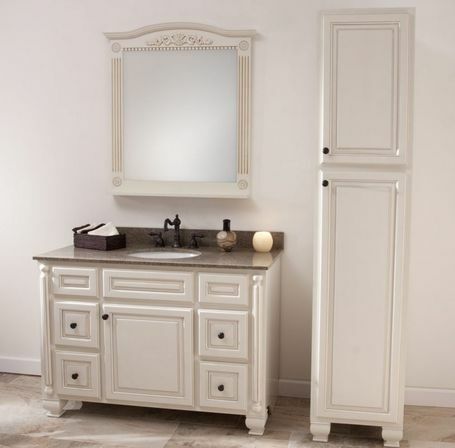 1) The horizontal bathroom vanity. Surely the main feature here is it’s horizontal design. And if the angular and standard bathroom cabinets’s height most of the times is around 800mm, for the horizontal ones it’s not really more then 400mm. But it’s width can be really big, even like the wall’s perimeter size. 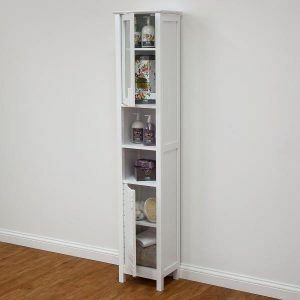 Unlike all the other bathroom cabinet’s types this one is the most convenient as you don’t really need drag all your body to get something from the top. And also this kind is much more safe the the previous ones. Why? Just try to remember how many times you heated you head by the opened door of the bathroom cabinet. I’m the horizontal models it can be reclined up and getting fixed in the opened state by the small hydraulic systems. 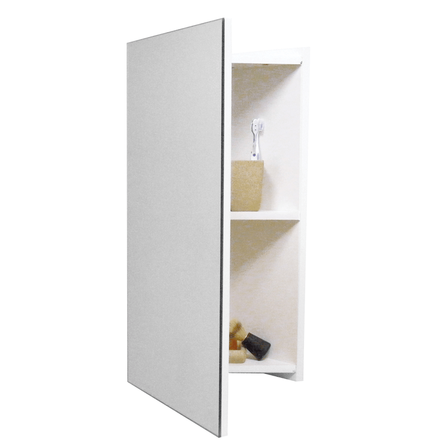 The mirror slim wall bathroom cabinet. This type can be definitely placed to the special category as it can be all of the previous (but not at the same time): standard, angular and even horizontal. 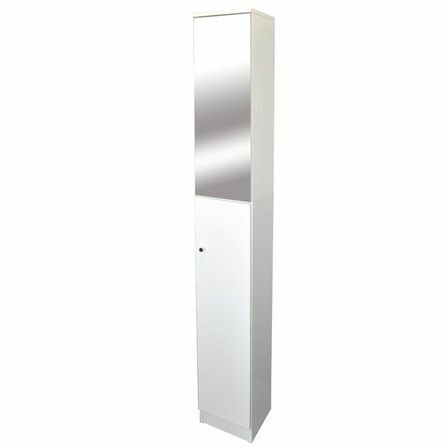 The main advantage of it is the mirror doors which means that this bathroom cabinet can simply replace the mirror above the sink making you to economy the precious bathroom space that is never enough. So making the final line we can say that we found out the main things we should pay our attention on while choosing a slim bathroom cabinet. Just the really important stuff to remember is that you should really pay much of your attention on the quality of the furniture and don’t forget that all the materials should be done waterproof and you will succeed!